Manufacturer of hdpe printed bags. 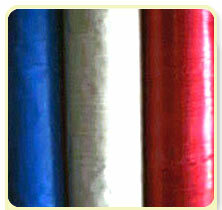 Manufacturing and exporting of products like HDPE woven sacks, PP woven sacks and HM carry bags. Exporters and suppliers of polypropylene seamless pipes, frp tank, polypropylene random copolymer, valves, monel, hdpe woven sacks, pp woven sacks, jumbo bags, sand bags, FRP tanks, motor guard, blower, etc. Manufacturers and exporters of laminated and unlaminated woven sacks and bags includes pp woven sacks, hdpe woven sacks, pp woven bags,hdpe woven bags, pp woven valve type bags, pp woven gusseted bags & shopping bags. We are leading FIBC, PP (Polypropylene) Woven Sack, PP Fabric manufacturer and Exporter. Guided by a philosophy to produce sustainable PP Fabric enhancing the Strength & the Safety of FIBC\'s & PP Woven sack. Muscat Global Impex Pvt. Ltd.